Becomes Ya Hu, and Bahu is always steeped in the remembrance of YaHu (O Allah).’ Sultan Bahu family was among the descendants of Prophet Muhammad through Imam Ali. They belonged to the Awan tribe of the Hashmi clan. The imagery of Sultan Bahu’s poetry is derived from the daily activities of villagers, like gardening and planting. Developing on the ideas of the earlier Sufis, he presented them to the rural folk in a simple poetic form. Each of his verses ended with the word Hu. These lines point to the recollection of Divine names, planted in the Sufi’s heart by his Master. The villagers would easily understand Sultan Bahu’s poetry with its Punjabi and Sindhi imagery. More than 40 books on Islamic mysticism are attributed to Sultan Bahu. These include Nurul Huda (Light of Guidance) and Risaala e Ruh (Journal for the Soul. Most of these books are in Persian. It was his collection of Punjabi verses, Abiyaat –e-Bahu, on the theme of Oneness of God that has generated popular appeal. In a highly emotive style, he elaborates on the traditional belief in self-manifestation of the Absolute and the importance of a spiritual life dedicated to the pursuit of God. Sultan Bahu’s verses are sung in many forms of Sufi music including kafis and qawaalis. The traditional singing of his kafis has established a particular form of melody not used in any other genre of music. As pointed out at the outset, the poet’s family belonged to the Hashmi tribe who were descendants of the Prophet’s son-in-law Imam Ali. His father Sultan Bayazid was a senior official at Shahjehan court. The family settled in Sherkot village in the Jhang district, which was awarded to Sultan Bayazid for his services to the government. He left his two wives under the care of his beloved mother and returned to Shyakh Habibullah. After a period of time, Shaykh Habibullah sent Sultan Bahu to Delhi for further studies under his Master Shaykh Abdur Rahman Dehlvi. On completing his education, he returned to the familiar surroundings of Punjab. It is said that the emperor Aurangzeb met Sultan Bahu at the Friday prayers in Jama Masjid and asked the mystic for guidance. At the premises of the mosque, Sultan Bahu related some of his teachings, which were written down by the royal scribe. This treatise came to be known as, ‘Aurang Shahi’, and is part of the large body of writing attributed to the Sufi. 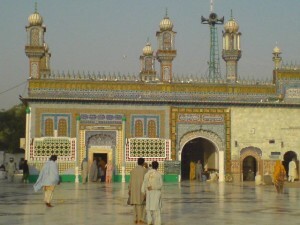 Sultan Bahu died on 1 Jumada al akhira 1102 Hijri/1691 AD. 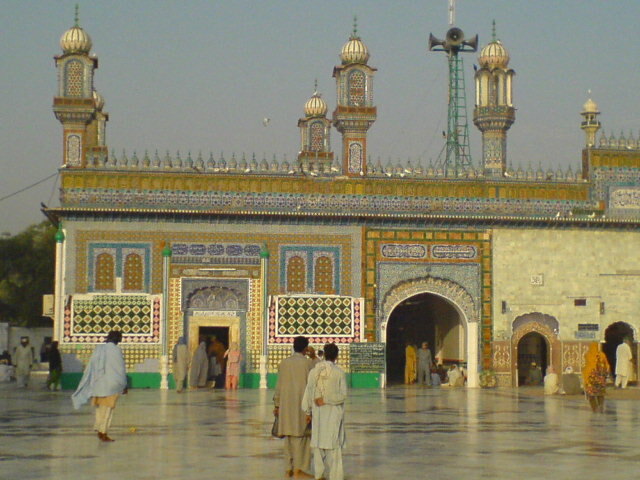 His dargah is in Gargh Maharaja in the Pakistan part of Punjab, where the annual Urs celebrations are held amidst singing of the Sufi poet’s verses. Of the above, Nurul Huda (Light of Guidance) and Risala-e-Roohi (Book of Soul) are the most popular, along with the poetry collection Abiyaat e Bahu.